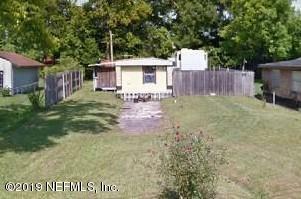 INVESTORS this is a lot with an older mobile home. Mobile home is 924 sf, Lot size is 7,744 sf. Would be a good lot for a small home, tiny house or a new mobile home. This is being sold AS IS. Owner will not do any repairs. 857 Wyolen St is a 924 (*estimated) square foot home with 3 bedrooms and 1 bathrooms located in Jacksonville FL, DUVAL County. This property is listed for sale at $36,000 and is currently active and accepting offers.